A native of Asia, sometimes planted as a ground cover, and locally established as a weed at the edges of gardens, walks, and streets, and occasionally in moist, disturbed forests. First collected in 1971 in Washtenaw Co. 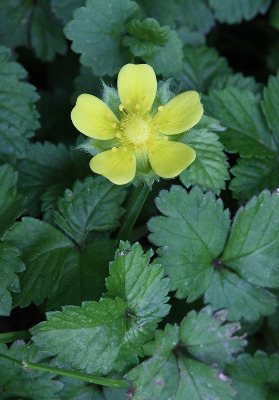 The flowers are yellow, but this species otherwise resembles a strawberry, with extensively developed runners or stolons. The enlarged receptacle, dotted with red achenes, lacks flavor or aroma. MICHIGAN FLORA ONLINE. A. A. Reznicek, E. G. Voss, & B. S. Walters. February 2011. University of Michigan. Web. 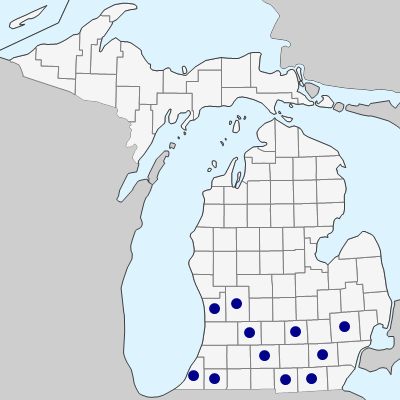 April 19, 2019. https://michiganflora.net/species.aspx?id=2478.